None of us want to be victims of an attack but sometimes you simply can’t avoid it. There are different measures you can take to protect yourself. Female self-defense classes are getting more and more popular by the day, more and more women are becoming proactive when it comes to signing up for some female self-defense classes. Other than taking a class, there are different ways to defend yourself, should you end up in a threatening situation. One of these ways is to carry female self-defense devices. We’re not talking guns here, so don’t get scared. There are women-friendly devices which you can easily conceal in your purse or pocket and which will offer you the maximum protection in the case of an attack. -> Check this out: Top strategies for deflecting unwanted attention as a woman. There are different categories of self-protection devices. These include sprays, maces, stun guns, impact weapons, and tasers. Understand each category and what you can do with each device. Then decide which type of device will work best for you, a range or a melee device. Most women prefer a device that they can use to diffuse the attacker from a distance so they go for the range devices. There is no guarantee that any device will be 100% effective, so consider a mix of two or more different devices at the same time. These five women self-defense devices are some of the best devices any woman can easily carry and use to defend herself, should the need arise. A tactical knife is one of the best self-defense weapons. A knife, if used correctly, is more effective, and deadly than a gun. A tactical knife can be used for so many other things even if you never have to use it as a self-defense weapon. When buying a tactical knife which you can use for self-defense, go for one that is lightweight and has a blade that is long enough, approx. three inches long. The tactical knife which you settle for should also be sturdy enough to withstand a fight. Avoid cheaper ones, the blade can easily break. Get your own tactical knife here. If you want to be more subtle with your self-defense weapon, then this will be a wonderful choice. 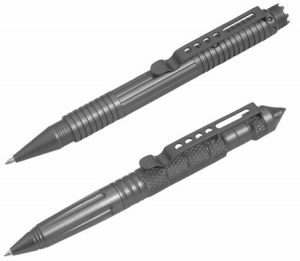 A tactical pen is a weapon cleverly concealed in a pen-like casing. It is a very inconspicuous and a very effective self-defense device. Nobody can even tell that you are carrying a weapon. Though small, a tactical pen will give you the same kind of protection that a tactical knife offers, only without the bladed edge. Many people argue that it’s less effective, but for someone carrying a weapon for the first time, a tactical pen is a great choice especially if you’re not comfortable with blades. This is another popular self-defense device among women. It’s also a great choice for people who would rather stay away from knives and real guns. 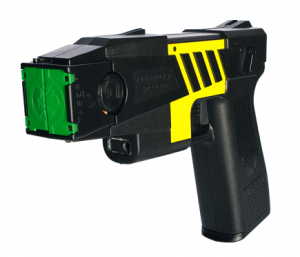 Tasers and stun guns are nonlethal and will immobilize the attacker for about five seconds, which is long enough for you to escape. This is a popular self-defense weapon which all women are encouraged to carry at all times. Pepper spray is easy to carry in your purse. It’s also very easy to use. Pepper spray causes severe irritation of the skin, eyes, and respiratory system. 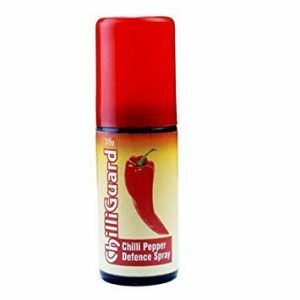 The chemicals in the pepper sprays will immobilize the attacker and slow them down. This will give you the chance to escape. So you need to be very quick and buy yourself enough time to run away from your attacker. This is another multi-functional device. You can use a tactical flashlight to fight off an attacker and also for lighting purposes. 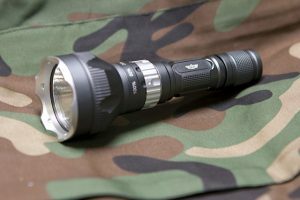 Buy a good tactical flashlight with a high beam light of about 500 lumens. This will be bright enough to temporarily blind your attacker, giving you some time to run away. A flashlight is great because it can be used from a distance. Simply switch it on if you suspect danger and shine the beam light on the suspected attacker. Pro Tip: If you plan to carry a self-defense device as you travel, make sure you do some research on the types of weapons allowed in the country you will be traveling to. Having a self-defense weapon is not enough to keep you protected. You need to know how to use your device effectively. Here’s a quick rundown of what you need to do to effectively use your device and keep yourself protected. When you buy your female self-defense device, don’t just throw it in your purse when you get home. Study it and learn how it works. Practice how to use it well. For instance, learn how to uncap a pepper spray fast, or which button to press on your tactical flashlight. Learn the safety mechanism that you need to employ to make sure that you don’t hurt yourself with your weapon. You want to be able to grab and use your self-defense device as quick as possible in order to catch your attacker unaware. If you put your device deep into your bag where it will take you forever to find, you will be giving the attacker ample time to pin you down. Keep your weapon where you can access it fast. The best tactic to avoid being attacked is always being cautious of your surroundings. Pay attention to what and who is around you. Avoid areas that are prone to attackers and always keep your distance if you suspect someone is a potential threat. Taking female self-defense classes will give you more confidence in dealing with any kind of danger. If you’re armed with a self-defense device and you already know a few self-defense moves, you will be twice as confident to defend yourself. 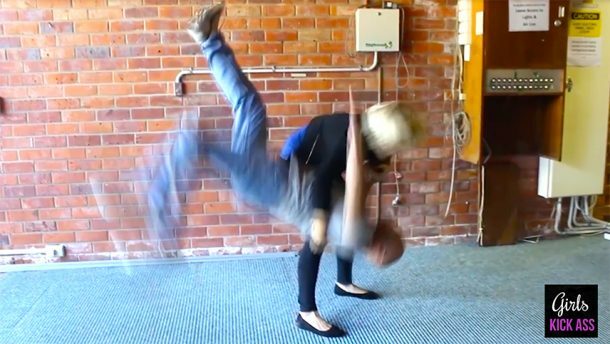 Most self-defense classes also teach you how to use various self-defense devices. Whether you’re home or traveling abroad, your safety is very important, so don’t let anything or anyone stop you from taking matters into your own hands and defend yourself. Do you carry any self-defense devices? Which one is your favorite female-friendly self-defense weapon and why?